"Aaaaaaaaaaaaaaaarrrgh! Grrf" in the words of Chewie, but what is going on here?! 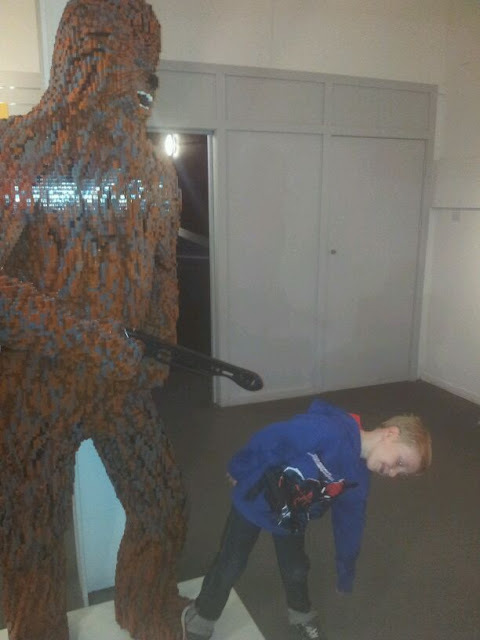 Have you got a funny or witty caption for Jamster and Chewbacca at LEGOland? If i lay like that do you think he is going to notice i am here?!? Is that all you've got? That isn't a gun! Stop laughing Chewy! This is my best zombie impression!